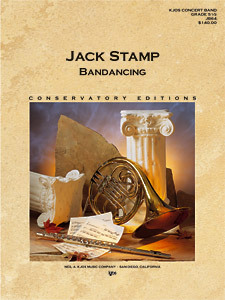 In Bandancing, Jack Stamp fuses elements of popular dance with his own harmonic style. The five movements of the work feature dances such as tango, waltz, and samba. The opening material reappears in the last movement to bring the piece to a stirring close.